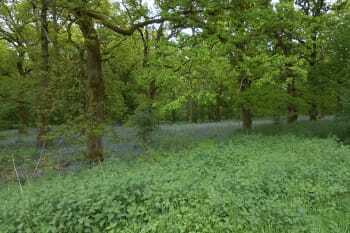 100 old cottage with off road parking set in the in the beautiful oak woodlands of the Cannop Valley Nature Reserve. 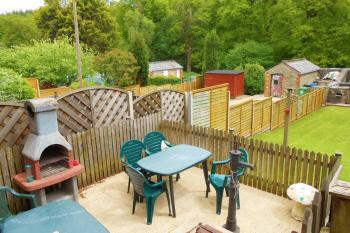 Large garden with BBQ backing into oak woodlands. Forest cycle tracks and Pedalabikeaway Cycle Centre 100 meters from the cottage. The Sculpture trail and Cannop Ponds a fifteen minute woodland walk away. There are no rooms available at WOODSIDE COTTAGE for these dates. Thank you for your review of Woodside Cottage. Hope to see you again soon! Very nice and relaxing, good enclosed garden for our dog. Saw the wild boar. TV was a bit of a trial to use. 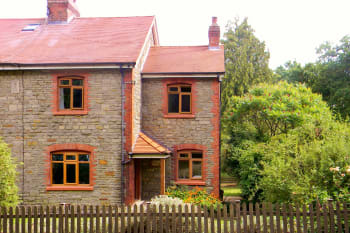 A lovely little cottage in an excellent location for exploring the Forest of Dean. The cottage has everything you’ll need for your stay. The decor is a little dated but I think that is reflected in the price. Couldn’t fault the owner who rang and checked to see if everything was okay for us. Would recommend to others. Loved Puzzlewood and Clearwell Caves. Both only a 5-10 minute drive away. 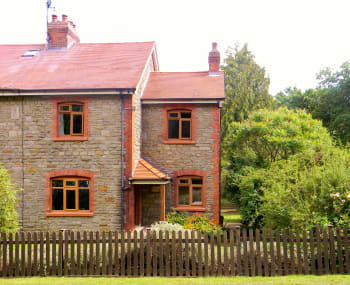 You can also walk to Beechenhurst Lodge from the cottage which has plenty of cycle paths and walks for the whole family. Also Cannop Cycle Centre is literally a stones throw from the cottage. You can hire bikes here for the whole family and explore the area. Plenty to see and do. Cottage always warm and welcoming. I think the location is in some of the most beautiful parts of the Forest. 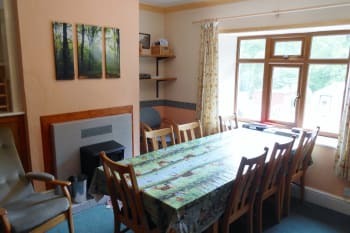 The cottage is homely and very comfortable. We just love this location. in the heart of the forest so tranquil and beautiful. Great place to stay. Quite location near to lots of attractions. Plenty of wildlife to see on your doorstep. i love this location in the centre of the forest wonderful for walks and cycling. woodside inn in parkend is nice for a meal. also the royal spring in lydbrook.